Bobby Long is a rising young singer/songwriter from Britan with a contemporary sound that is steeped in the sounds of twentieth century American folk music. His debut full length release, A Winter Tale, was just released on ATO records in the United States. It is full of evocative imagery, striking energy and strong vocals. 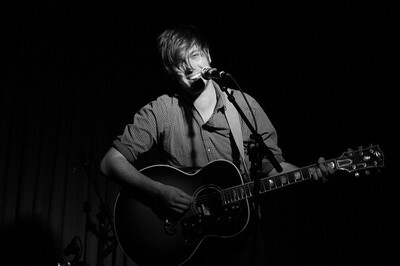 Long is performing Saturday night (2/5/2011) at Club Congress in a KXCI Presents! new artist show. Doors open for this early all ages concert at 7pm with Andrew Collberg and Courtney Robbins.